Magnetic resonance angiography (MRA) as a new completely noninvasive vessel imaging modality has undergone continuous improvement over the last few years. 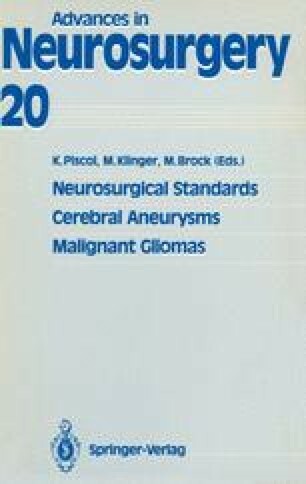 Intracranial pathological findings such as arteriovenous malformations and aneurysms are challenging indications for this method due to their complex flow patterns and the smallness of relevant pathological vessels that have to be visualized to give the method acceptable clinical accuracy. Thus, the purpose of this study was the evaluation of MRA’s capabilities and limitations in the identification of cerebral artery aneurysms with special respect to conventional X-ray angiography as the gold standard of cerebral vascular imaging.